Mojang's Minecraft released 10 years ago and has come to every platform. Now, the acclaimed title has reached 30 million total sales on PC alone. This shouldn't come as a surprise considering the title is still one of the most played games in gaming. With a growing community of players and hundreds of mods to choose from. Minecraft has many options and modes for players to enjoy the title. 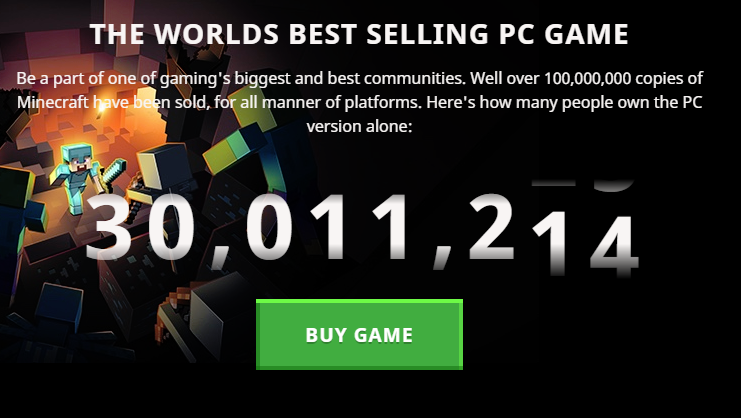 Minecraft has reached over 100 million in sales across all platforms. Making it one of the best selling games of all time.